Daniel J. 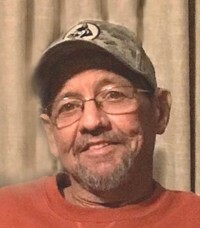 "Danny" Mauthe 61, of Kittanning, formerly of Worthington, PA, passed away on Sunday, March 24, 2019, at his home surrounded by his loving family. A lifelong resident of Armstrong County, he was born Oct. 20, 1957, to John Henry and Dorothy (Gray) Mauthe. Danny loved to go to flea markets and was a collector of many things. He enjoyed rides to Cook Forest and loved fishing with his Grandpap Gray, who was the most influential man in his life. His greatest passion was his family, who he adored to be with and loved to talk about, especially his grandchildren. The family will receive friends from 4:00 - 7:00 p.m. Tuesday, March 26, 2019, at Bauer Funeral Home and Cremation Services, Inc., 515 N. McKean St Kittanning, PA, until the time of services at 7:00 p.m. with Pastor Vincent Edwin officiating. To send a condolence to Danny's family or view a video tribute honoring his life, visit www.bauerfuneral.com.